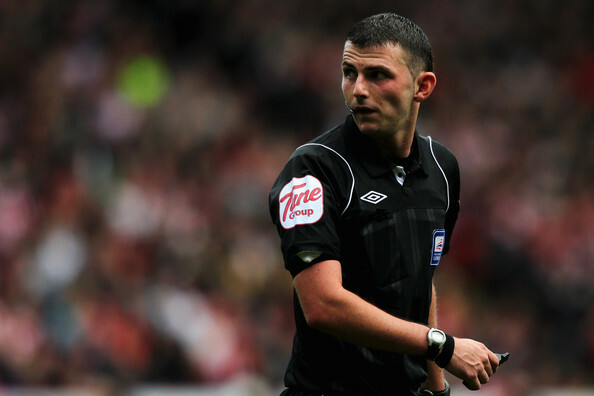 Last night during one of the biggest rivalries in the Premier League, referee Michael Oliver stole the spotlight as he produced possibly the best refereeing performance this season. It is no secret that referees have come under a lot of scrutiny this season for some disgracefully poor displays, but last might proved that some can actually do their job and do their job to a very high standard. It is known in the past that many referees do come under a lot of pressure in some circumstances with Manchester United Vs. Arsenal at Old Trafford possibly regarded as the boiling cauldron of pressure for referees. But with some bold calls to make against the home side, Oliver showed no signs of cracking and showed both teams who the boss of the field is. Without a doubt it is unheard of for English referees to get every single call right, that’s where most controversy and publicity is created, and yet except maybe for a penalty call for Arsenal Oliver got every single thing right. It is no surprise then that when BBC did their Twitter man of the match debate that hundreds and hundreds of fans tweeted in to suggest Michael Oliver be man of the match, because the fact is, he was. It is strange that referees can be so inconsistent in this country, but hopefully last night was a turning point and many English referees will follow in Oliver’s footsteps. Poyet named manager but what does this mean for Sunderland?